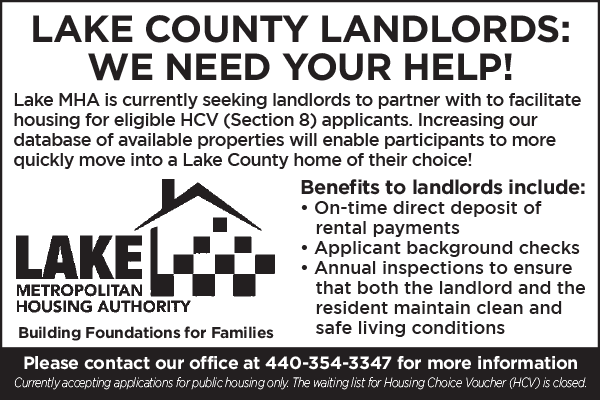 The Housing Choice Voucher Program (Section 8) can help you achieve your goals as a landlord while providing housing opportunities to low-income individuals and families in Lake County. Payments from Lake MHA will be directly deposited into your bank account – typically on the third business day of the month. Lake MHA provides inspection services to a participating landlord to ensure the property meets HUD standards of housing quality. A successful inspection documents that a property is considered to be a safe place to live and in decent and sanitary condition when rented to an HCV (Section 8) participant. A criminal background screening from the local court databases is completed for each applicant. 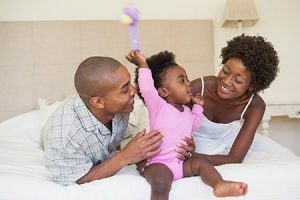 List your rental property for Housing Choice Voucher holders at GoSection8.com for free online registration or by calling 1-866-466-7328. Inspecting the unit to ensure it satisfies HUD Housing Quality Standards. The rent you propose to charge is comparable to similar properties in your community. Once these two activities are successfully completed, Lake MHA enters into a contract with you and you enter into a lease with the tenant. Payments may begin as soon as the first day of the month. With the landlord payment lookup, Lake MHA landlords can view their Housing Assistance Payments (HAP) at any time. The username is the landlord’s last name and first initial OR business name (up to 30 characters). The password is the last four digits of the SSN or TIN.